Your angels want you to hear them more than you do! Ask the angel to “turn up ” the volume when speaking to them. This means, that they will turn up the “spiritual volume” to your inner ears – which are located within everyone. Everyone has ear chakras, which are located directly adjacent to your eyebrows, a little lower than your forehead. They are the color of bright red violet. Within your ear chakras are these “inner ears.” The angels will be happy to turn up the volume when asked. This is something that is easy for the angels. If you are having trouble hearing your angels, this will help. Another method that assists in hearing your angels is to sit and breathe. Breath clears the passageway to Heaven’s Messages (and helps you be one with your highest self and the angel realm, when intended, with your breathing exercises. This also helps you shift your awareness from your ego mind- which is fear based – to that of your highest spiritual self- which is love, created from Divine Love)- although the angels are not limited by breath. Releasing fears that you are not able to hear you angels will also help in clearing the passageway to Heaven’s messages. St. Michael will help you remove anything that is seemingly blocking you- which is mainly your fears. The Truth is – there is nothing blocking you from hearing your angels messages. It is only your thoughts that mis-create the illusion that there is a “block” at all. St. Michael comes in and removes the “thought” that is in err- healing your consciousness and lifts away any debris in your field ( or aura or light body) that would be dense in vibration, helping you to communicate more clearly with the angels and hear their messages! Help is always available to you when you ask the angels to help you communicate with them. St. Michael can even help you when you are sleeping. Ask now for the angels to help clear away any thing that is in err- helping to lift away any psychic debris in your field, and turning the volume up for you within your inner ears. This is not painful or intrusive. If there is a ringing noise, this is normal- but if the ringing is too loud, you can also ask the angels to turn the volume down as well. Just be honest with your angels in what you are experiencing. They will know what to do and will help facilitate your ears. Once opened, your ears will be sensitive to sound, loud noises and yelling or raised voices. They will also be sensitive to vibration and tones. You will have to listen to soft music and nurture your hearing with kind words, compliments ( that are sincere – the inner ears can pick up on insincerity!) and words that heal others. The words you speak are important to your inner ears . Insults will no longer be tolerated and neither will yelling. Bold is different than yelling. Bold is sincere. Yelling is aggression carried out in your voice. Be careful not to respond in anger, but walk away from a situation that seems unhealthy. Drama will no longer be tolerated or gossip. The inner ears are truly sensitive- you may say that you have the ears of an angel! 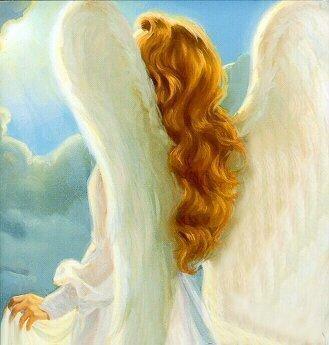 To hear the angels voices, you almost do!~ We are here for you always and we celebrate your wanting to hear your angels messages more clearly, accurately and often. We love you – and so it is..amen , amen, amen.